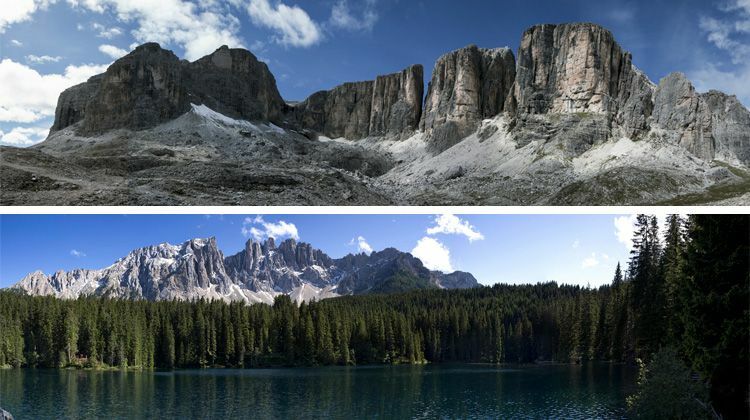 ITALY FIRST IN THE WORLD FOR BIO-DIVERSITY: THE DOLOMITI, MOST BEAUTIFUL MOUNTAINS ARE AN EXAMPLE. Among unique landscape and exceptional geological features, there is the Bruno Bear's House. 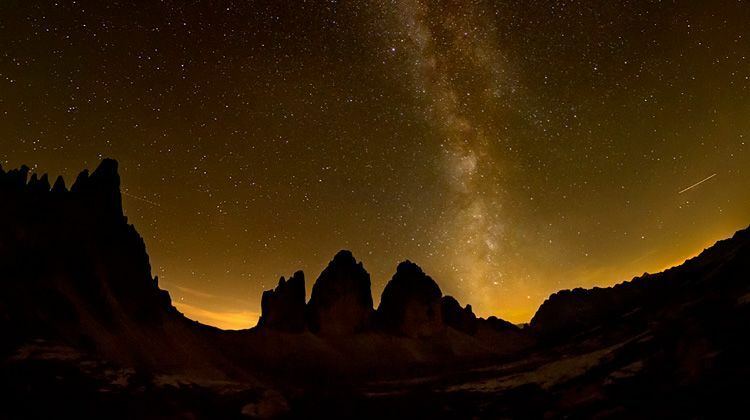 The Dolomites, the mountains that for beauty, unique landscape and geological characteristics entered in the World Heritage list in 2009. Known as the Pale Mountains, are considered the most beautiful mountains in the world thanks to the changing colors according to the time of day and the seasons, the contrast between the rolling hills and towering snow-capped peaks that create a fairytale landscape. The whole scenery is extremely impressive with vertical walls, the colors of the rocks and the many natural sculptures created by the peaks. 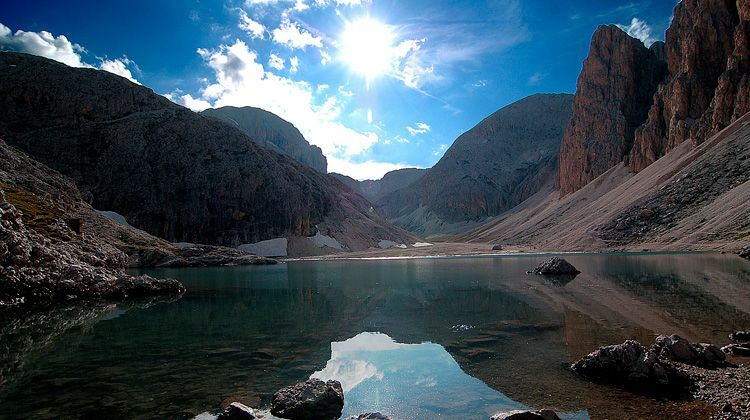 Historically they are beloved destination and one of utmost importance to geologists, who can observe here the various types of orogeny: the processes and phenomena that give rise to the formation of a mountain range. 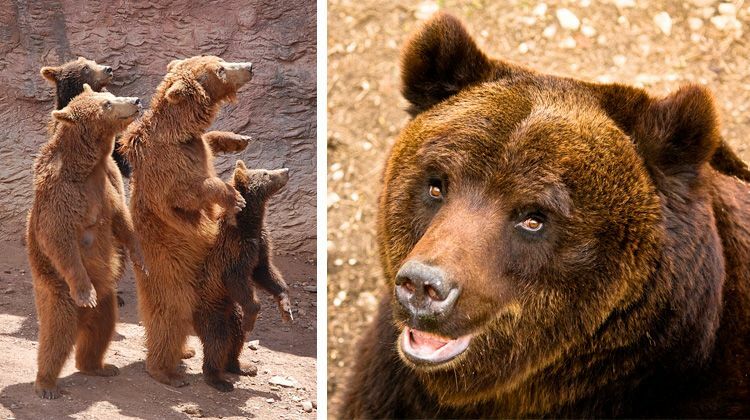 Among the many wonders of the western Brenta Dolomites, there is the Adamello Brenta Natural Park (born for the protection and conservation of flora and fauna),which is home to brown bears in Spormaggiore, a wildlife area where you can see examples of this mighty animal of the Alps. Unforgettable is the canyon of Rio delle Foglie (leaves river) with stunning rock layers of different colors: they are composed of countless fossils of prehistoric animals and through these layers it is possible to read the geological history of the Earth. 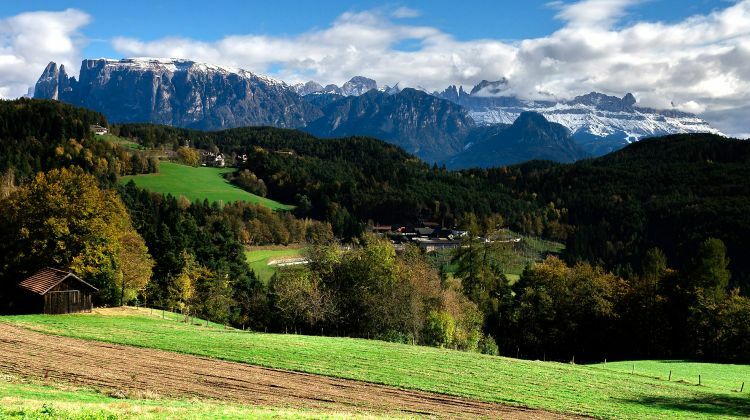 Between South Tyrol and Trentino, it is found the Alpe di Siusi and the Sciliar with the legends of witches and his magical strudel made of apples of renowned quality. In September, it is celebrated with the Strudel Festival. The massif of Rosengarten (or Catinaccio) extends from Sciliar to the north, to Passo Carezza in the dominating the eastern horizon of Bolzano. Here the characteristic feature is the enrosardia: the visual phenomenon that gives the mountain the special and striking pink color at sunrise and sunset. The Latemar with 60 km of ski runs, has won the title of “Ski district – Top 2015” and it was found the best ski resort. Between Trentino and the Veneto, the Dolomites of Belluno are an area that includes the major Dolomite groups, such as the Three Peaks, Civetta, Moiazza, Marmolada, the Tofane, and the Croda Rossa d’Ampezzo. Here it shines the Marmolada, called the Queen of the Dolomites, with the highest peak (3,343 meters) and its glittering glacier. In winter, for ice climbing fans, the perfect place is the famous Serrai di Sottoguda, a deep gorge about two kilometers long, carved into the rock. Enclosed by huge rock walls that fall sheer, this canyon is the most renowned and popular ice gym of the Dolomites, with its walls and frozen waterfalls offers unique emotions and breathtaking views. 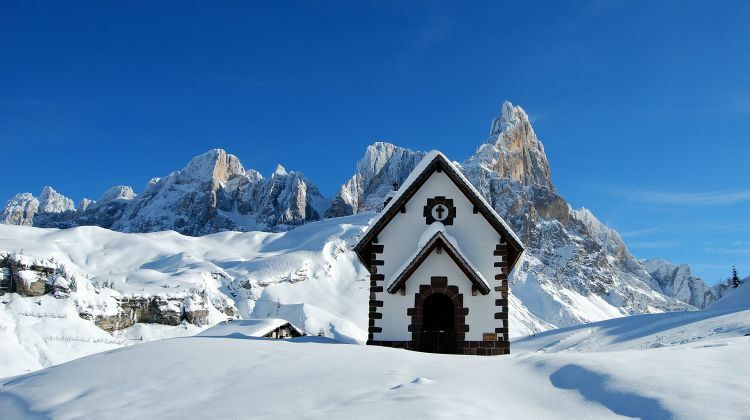 The tops of the Pale di San Martino are famous for the beautiful Forest of Paneveggio, the kingdom of deer and spruce wood with which Stradivari produced unique violins and still much sought. Skiing in the Belluno Dolomites means to find a wide choice of ski resorts and enchanting landscapes; and if one wants to avoid the Marmolada and the other places that have marked the history of mountain tourism, as Cortina d’Ampezzo, there are also far less busy areas, such as the one in Feltrino on Mount Avena. 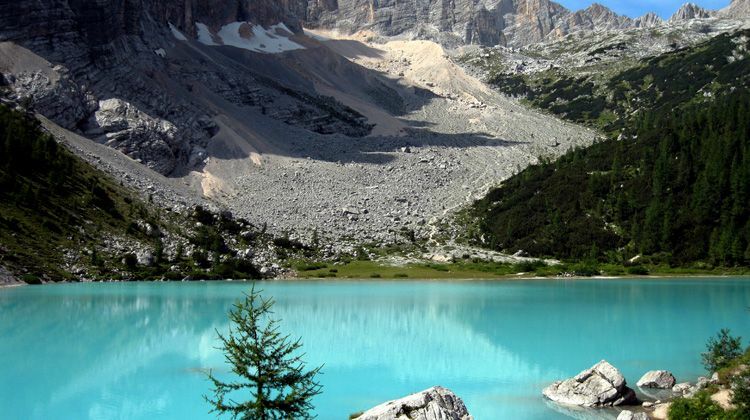 In the Dolomites in South Tyrol, the Puez-Odle Natural Park, offers the visitor with a unique natural spectacle. Located between Val Gardena and Alta Badia, with all the rock types, their sedimentary layers, and characteristic forms of disintegration that seem sculptures. On altitudes grow edelweiss, Alpine hairpins, gentians and bluebells. Pelmo is called the “throne of God” because of its shape: according to a legend, after the creation of the Dolomites the Lord sat down here to admire his work. Pelmo is also famous for being the first conquest of Dolomite mountaineering thanks to Sir Jhon Ball in 1857.